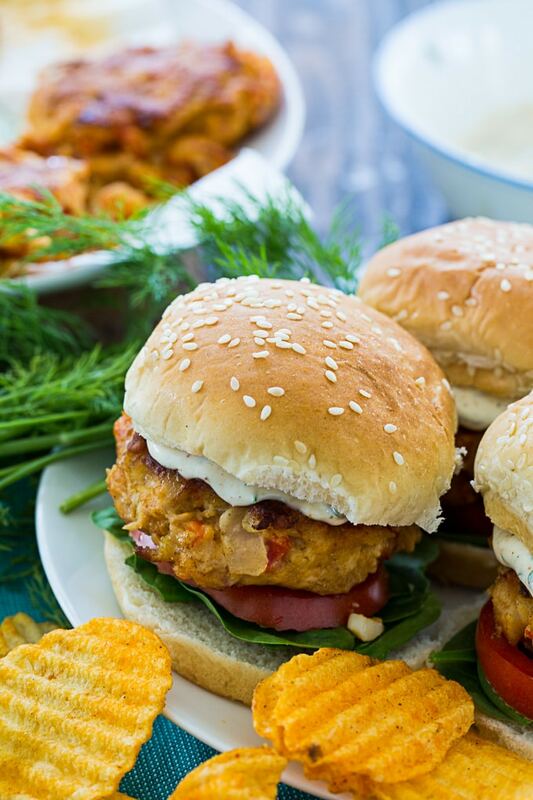 If you have never had Crawfish Burgers you don’t know what you’re missing. These New Orleans favorites are every bit as delicious as shrimp burgers. 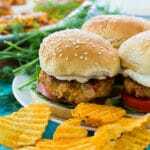 Make them slider size and serve them as an appetizer at a Mardi Gras party and they are sure to be a hit. 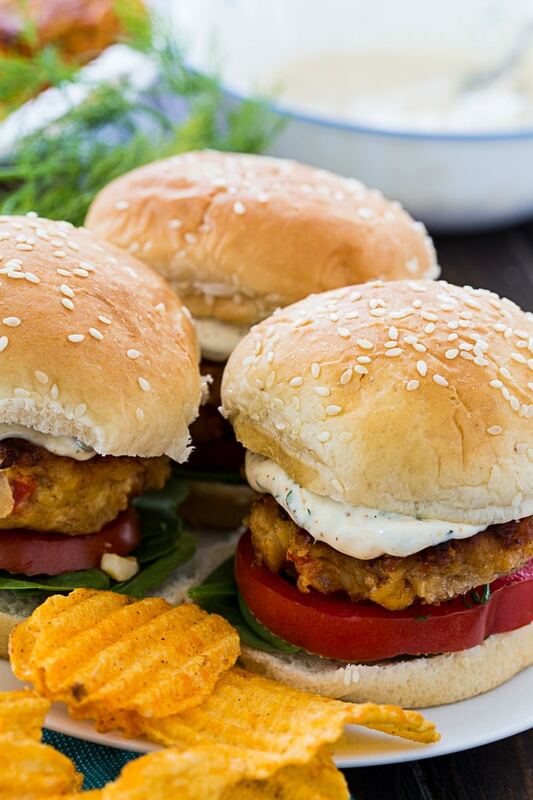 Served on a bun with lettuce, tomato and a creamy dill sauce they make a delicious seafood burger. You will need a pound of frozen crawfish tail meat for these Crawfish Burgers. Unless you live in a rural area , you should be able to find crawfish at a well-stocked or high-end grocery or specialty store. My local butcher in Beaufort, SC carries them. If not you can order online. I typically thaw them overnight in the refrigerator the night before I use them. Crushed saltine crackers, an egg, and a little mayo are used as a binder for this recipe. A little onion, celery, red bell pepper, garlic, Creole seasoning, Creole mustard, and Worcestershire sauce are used for flavor. The burger mixture needs to be refrigerated for at least 4 hours and up to 24 hours so it is best to make the mixture a day in advance of eating them. If the mixture is well chilled, the patties won’t fall apart when you cook them. The crawfish patties can be shaped and formed and frozen for later use. Wrap well in plastic wrap and defrost in the refrigerator overnight before cooking them. It helps if you coarsely chop the crawfish, cutting each crawfish into roughly 2 to 3 pieces to halp the patties hold together better. This is my favorite Creole Seasoning. 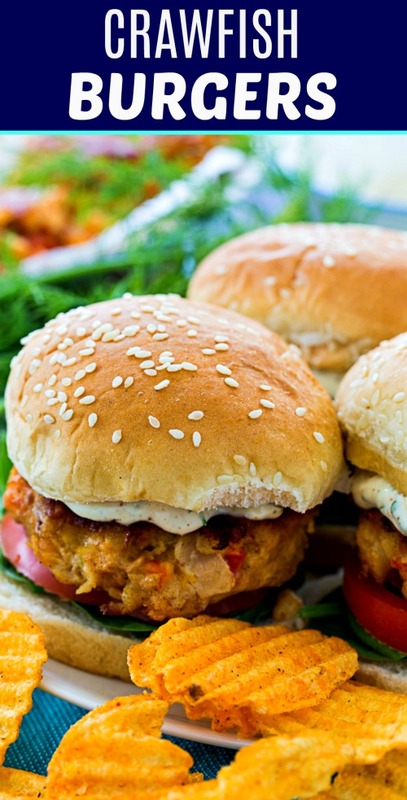 If you have never had Crawfish Burgers you don't know what you're missing. These New Orleans favorites are every bit as delicious as shrimp burgers. Melt 1 tablespoon butter in a medium skillet over medium-high heat. Add onion, celery, and red bell pepper. Cook, stirring occasionally for 4 minutes. Add garlic and cook 1 more minute. Let mixture cool and transfer to a large bowl. Add mayonnaise, mustard, Worcestershire sauce, Creole seasoning, egg, Saltine crackers, and crawfish tails. Stir to combine. Cover with plastic wrap and refrigerate 4 to 24 hours. Make dill sauce. Combine all ingredients in a small bowl. Cover and refrigerate until needed. Shape mixture into 6 patties or 10 smaller ones if making sliders. Heat 1 tablespoon butter and 1 tablespoon oil in a nonstick skillet over medium heat. Add half the patties and cook for 4 to 5 minutes per side or 3 to 4 minutes for slider-sized patties. Repeat with another tablespoon of butter and oil and remaining patties. Layer lettuce, tomato slices, and a crawfish patty on each bun. Spread top of bun with dill sauce. Disclosure: This post conatins affiliate links. This entry was posted in Mardi Gras, Sandwiches and Wraps and tagged crawfish, seafood. Bookmark the permalink.